As a graphic designer, one of the clearest forms of icon design I see is in photography. Within a very small space to display instructions as to each setting, the modern DSLR camera needs to show this in a simple form that is universally recognised. I found this great Photography Cheatsheet below which shows the simple icon designs on DSLRs and explains each one. 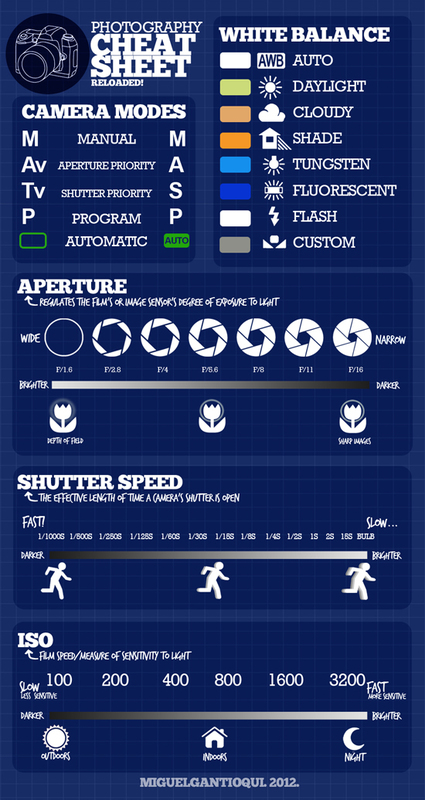 Very useful if you’re starting out in photography. This entry was posted in Design and tagged icon design, photography cheatsheet. Do you judge a book by its cover design?